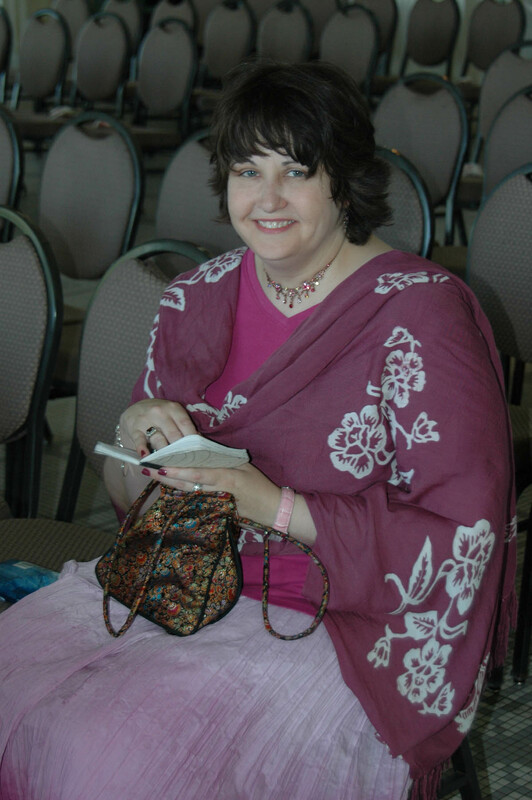 Author: Guest Blogger & Ridge Member Kimberly E.
Like many, I have struggled with my weight. I have been overweight most of my adult life. In 2005 I attended the wedding of friends. This is a picture from that wedding. At that time I was at my heaviest, 225/230 on a 5’6” small frame. My weight continued to move up and down until 2011, when I had gall bladder surgery. For the first time my weight was not just an embarrassment or vanity issue, it was a real potential health problem. I weighed 199. In December 2011, at a follow up, my weight was 191 and my doctor said that my weight was going to start causing serious health issues. So I went out and I bought a scale for me and one for the food. Over the course of the last 2 and half years, eight things have become the foundation of my ‘journey’. The first is pretty basic and vital, good food. I researched about good, healthy food and more importantly I began eating that food. The second, calorie counting. If I consumed it at home it was measured, weighed, and counted. Initially I rarely ate out and if at a party or gathering, I ate before I went and snacked little. The third, daily weigh-ins. I know this is not a good tool for everyone, but for me, it has been. I weigh myself every morning and put that figure in a spreadsheet which is the fourth item. It acts as my daily journal. I also log my calorie count and make small notes, such as workouts, moods, crucial events. It allows me to see patterns and gain a better understanding of how my body works. The next major piece is exercise. Now, I’ve never been athletic. But exercise is absolutely fundamental to a healthier life, and self-motivation wasn’t cutting it. So for the fifth to work, I needed the sixth, a personal trainer. My trainer here at the Ridge is Jackie Rainford Corcoran and I work out with her twice a week for half an hour. This keeps me accountable as well as motivated, challenged and consistent. Trust me, it is so worth giving up Cable TV for. Seven and Eight work in conjunction–MyFitnessPal and FitBit. MyFitnessPal allows you to log your food and provides you with the calorie count and nutritional information. It has a huge database, online support community, and other features. FitBit counts your steps and is another way to be accountable and motivated. I had recently taken up running but was no longer improving. Then I discovered you could sync MyFitnessPal and FitBit and would get an adjusted calorie count based on activity level. Sure enough, I was eating too few calories. I mentioned running. One day I saw a poster for the Ridge’s 8 Weeks to a 5K, the Thanksgiving Huffin’ for Stuffin’. For some reason I said, “why not” and in November of last year I ran my first 5K. Then in March of this year I ran my first 10K, the Run to the Pub. My last 5K was the Mother’s Day Haven Run, pictured on the left. My weight is 130, 70 pounds less that when I had my gall bladder surgery and 100 pounds from my heaviest. I am now stronger, healthier and in better shape at 50 than 25. It’s not impossible. I did it, I’m doing it. It is possible for me and I know it is possible for you. Kimberly was one of our inspiring guest presenters for our recent health panel “The Weight Loss Initiative”. The next panel will be held Monday, October 20th, at 5:50pm and is a free event.